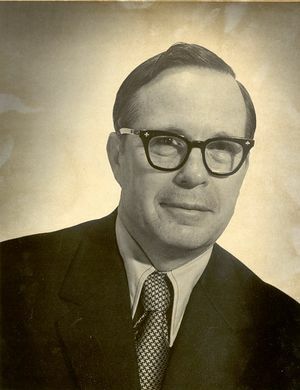 Carleton A. Bayless, IEEE President, 1990, was employed by Bell Systems from 1940 until his retirement in 1981 with positions at Southern California Telephone, AT&T, Western Electric, and Pacific Telephone and Telegraph. Bayless earned his B.S. in engineering physics from the University of California, Berkeley. He studied communications systems engineering at the University of California, Los Angeles, and the University of Michigan, Ann Arbor; and engineering economics at Stanford University, California, all in the USA. He was employed by Bell Systems from 1940 until his retirement in 1981 with positions at Southern California Telephone, AT&T, Western Electric, and Pacific Telephone and Telegraph. He was a Life Fellow of the IEEE and served as Institute president in 1990. This page was last edited on 19 January 2016, at 21:12.